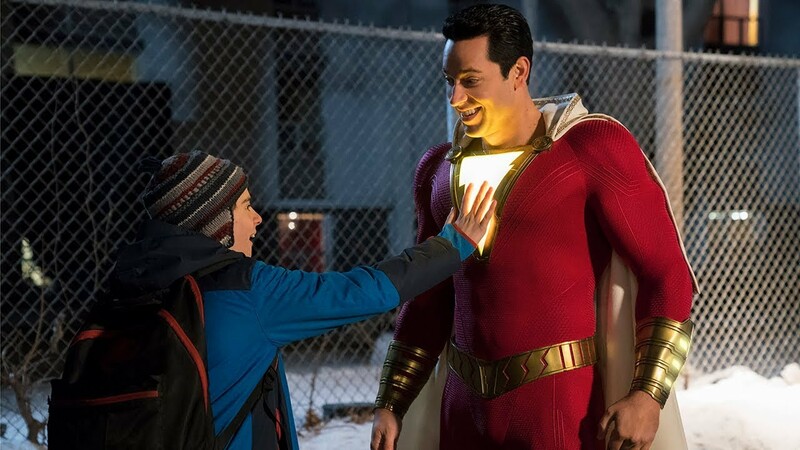 Shazam is everything a comic book movie should to be. The movie is entertaining, filled with emotion and has everything in-between. Rarely do we see blockbuster movies with this much heart. Shazam takes me back to movies like “E.T. the Extra-Terrestrial”, “Big” and “The Breakfast Club”, delivering a sense of awe and wonder, a universal message and a talented ensemble cast. The parallels between the fostered Billy Batson (Asher Angel) searching for his mother, and Thaddeus Sivana’s (Mark Strong) quest for power intersect in such touching and powerful way. The harsh reality of searching for something that doesn’t satisfy is a universal truth, and it is shown beautifully in this movie. This might be the first time I’ve seen a live-action-comic-book movie perfectly balance a comic book tone. 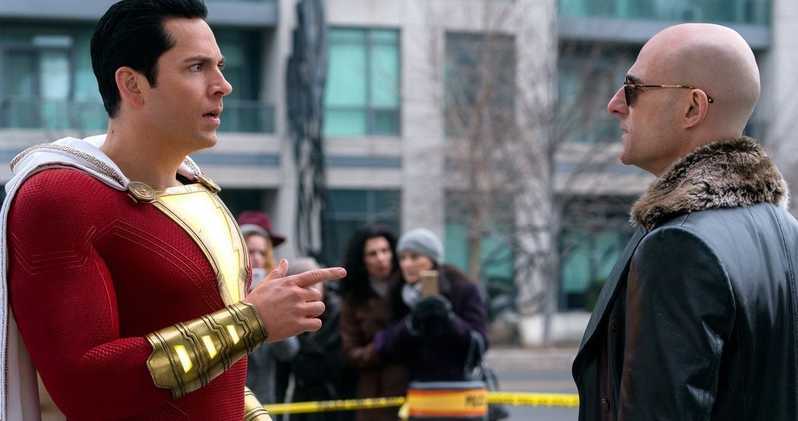 Shazam is bright, colorful and upbeat like Wonder Woman and Aquaman, yet it doesn’t shy away from darker elements we’ve seen in Man of Steel and Batman v Superman. Director Davd F. Sandberg handles the tone of this movie so masterfully that the movie never feels like it’s a war with itself. Shazam also supersedes all other DC movies in the design department. Whether it was Zack Snyder’s “Communion” Steppenwolf or the finalized Justice League version, there was always something about it that felt like it was either trying too hard, or not hard enough. Yet in Shazam, the designs of the Seven Deadly Sins seem effortless. Despite being literal monsters, the designs never drew negative attention to themselves, nor did they ever seem out-of-place. Leah Butler’s costume designs, which were more or less comic book accurate, never feel over the top. Plus, they’re just great to look at, especially in the final act when all these fantastic elements come together. Between the monsters and the mayhem of the foster home, Shazam assembled an outstanding cast of characters and the movie does a fantastic job of diving up screen time to everyone. You can tell that everyone on set was having loads of fun and it really shows. Zachary Levi who plays the titular character does a wonderful job as Shazam. There’s a real earnestness to Levi that radiates from him whether it’s being excited about the discovery of a new ability or being self-absorbed as Billy’s alter ego. Angel handles the lead role with skill and ease. His journey has several ups and downs and Angel handles it like a pro every step of the way. Likewise, Jack Dylan Grazer has great comedic timing playing opposite of Angel and Levi, and the supporting cast that make up Billy’s foster family are exceptional. But it’s Faithe Herman who steals the show as the loveable and always hugging Darla Dudley. The inclusion of Mark Strong and Caroline Palmer is a nice touch even if they’re mostly just reacting to things happening to them, but their backstories make up for it.